Everybody looks forward to their weekends; it's those one or two days in the week when you're supposed to take it easy and not succumb to any pressure. Unless you count your shopping list as a source of pressure. And sometimes pressure can be a welcome one - especially when you know that mega-sales are set to turn the cyber-world upside-down. This weekend, Dubai and the UAE prepares for its own version of online-sale madness, with companies ramping up the hype with deals so unreal you can't help but become interested. Online shopping has become such a big deal that companies have gone the extra cyber-mile to attract customers - to the point that it's unbelievable. "White Friday exemplifies online shopping in the region... every year we try to evolve and improve," Ronaldo Mouchawar, CEO and co-founder of Souq.com, told KT. 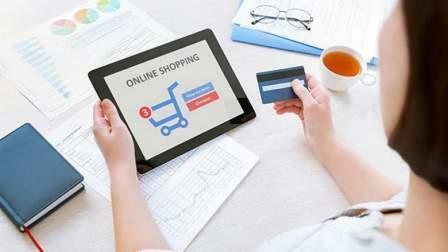 Exemplify it does: while indeed online retail makes up a mere two per cent of the overall sector in the Middle East, it's gaining steam as more customers look forward to the convenience it brings, as well as the ever-growing number of choices being made available. Last year, Souq.com listed more than 10,000 deals for White Friday. Apparently, that wasn't enough, so this year they've ratcheted it up to over 500,000 - all of which are unique so there's a very good chance that there will be something for you. "The way we've diversified our categories over the last couple of years is unmatched," Mouchawar added. It also helps that Souq.com was acquired by Amazon in March: the power of the world's largest e-commerce platform only reinforced the standing of Souq.com, already the Middle East's biggest in its space. "We've made our selection quite interesting, and our cooperation with brands has increased tremendously," Mouchawar noted, adding that the company has worked a lot with Amazon and its partners to make sure that its capabilities expand even more. "Our facilities, logistics network, delivery capability and technologies have changed drastically." And the numbers aren't limited to 'how many'; for most of us, probably the more important thing is 'how much'. Online retailers make super-sales periods as an opportunity to drag prices so low it's a can't-miss opportunity. Awok.com, another major player in the Middle East e-retail sector, announced its own head-scratching deals for their own version of Black Friday. The company, in a release, announced that among the deals - 'Upcoming Flash Sale', as indicated on its website - are the Apple iPhone X at Dh729, the Apple Watch Series 3 at Dh145 and the Samsung Galaxy Note8 for Dh699. In the world as we know it, the regular prices for these items are Dh4,099, and Dh1,299 and Dh3,399, respectively. The secret behind this? One study by Boomerang Commerce says online retailers would increase prices on less-popular products to make up for the discounts they give on the other end of the spectrum. It's that simple. Another factor contributing to this is that online sites don't have the overhead expenses traditional brick-and-mortar stores have to dole out for - things such as manpower, rent and marketing initiatives, among others - so they have more margins to offer lower prices. "We have put great emphasis into customising the type of deals we offer during this year's Black Friday sale," Ulugbek Yuldashev, CEO and founder of Awok.com, says. "Our customers expect to have access to all to newest products, latest technologies and hottest brands on offer." Last year, Souq.com posted its highest-ever sales for White Friday, topping 1.2 million; Mouchawar expects this year's edition to be "historic". And while it may come nowhere near what Alibaba achieved in China during its Singles' Day event on November 11, in which it raked in a mind-boggling $25.3 billion over 24 hours - bigger than the recent editions of the United States' Black Friday and Cyber Monday combined - he believes that Middle East consumers are embracing e-commerce, albeit slowly but surely. "We're seeing change," he says, "and we may see more of it in the next two to three years especially now that Amazon is here." "There is more confidence now in online buying," Mouchawar says, "especially with the product types evolving very fast - it drives faster adoption." Of course, technology plays a key role in convincing more shoppers to just kick back and do their purchases from home. "The mobile gap has shrank significantly," he adds. "Connectivity is not a barrier anymore... mobile is changing the way people shop."